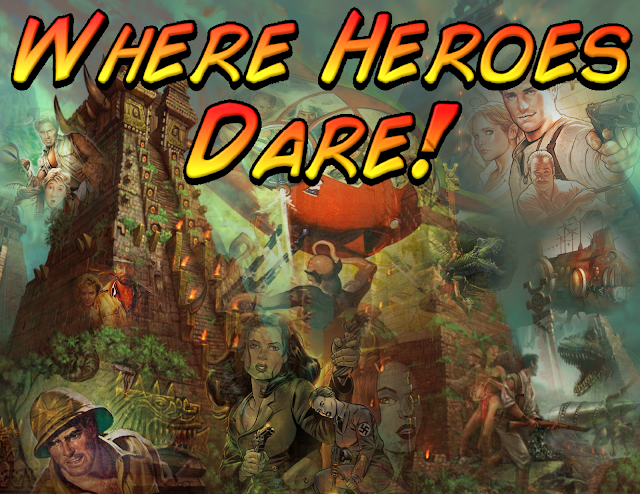 I wanted a way to store all my pulp heroes and villains for Where Heroes Dare! 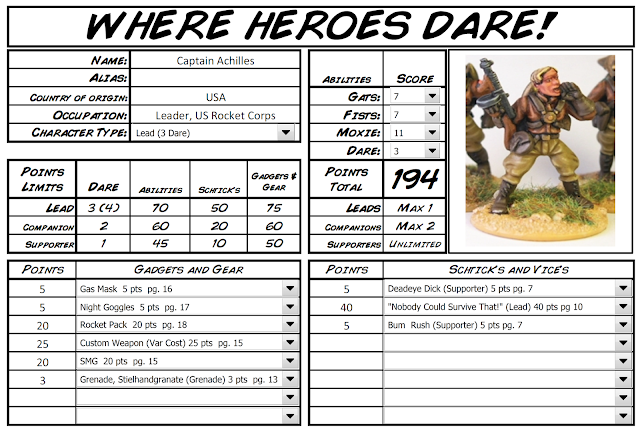 in some kind of file format that would allow me to edit the characters later if needed and I also wanted to be able to put some kind of character picture on the sheet as well. MS Excel was not my first choice, but as it turns out, it worked well. When I entered all the data for the combo boxes I included the rule book page numbers because I always spend too much time looking up specific rules and I think that detail will really help. If anyone would like to use this, I have uploaded it to MediaFire here. There are two character sheets per page and you can make copies of the blank character sheet tab to store more heroes and villains in the workbook. Enjoy. Edit: I found an error in the workbook. Here is a new link.